Dynamic e-commerce business Construction Materials Online, which has been disrupting the builders’ merchants sector in recent years, has changed its name to cmostores.com. A new trade website is planned for 2019. This will give trade customers a personalised portal with streamlined ordering, simplified paperwork, speedy quotes and invoicing, and a hotline to their account manager. The £39m business grew sales by 46% in 2018 and has had a major impact on the UK construction sector since it was founded 11 years ago by passing on huge cost savings to customers. Using an online platform and direct shipping, cmostores.com is able to offer competitive pricing and product ranges that traditional brick and mortar operations cannot match. In April 2017, the second-generation family business received further funding for growth with a £8.65m investment by private equity house, Key Capital Partners (KCP). 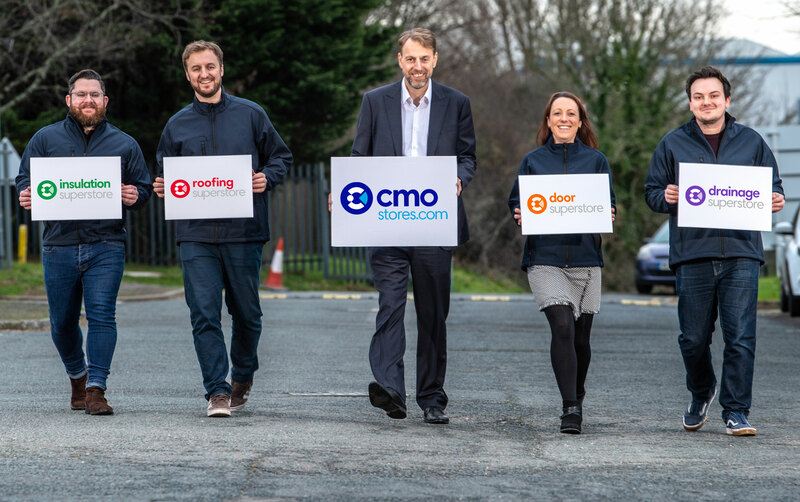 CEO of cmostores.com, Andy Dunkley says: “Our new brand is an up-to-date visual identity which reflects how the business has developed and aims to take us through the next ten years of growth as we continue to help our customers to deliver projects on time and on budget”. “We’re responding to market research which asked the industry what it needed and how we could make life easier for people buying building supplies”. With over 70,000 products available online, cmostores.com helps house builders and contractors by making the process of getting supplies to site easier, saving trade customers even more time. “Not only do we compete hard on thousands of prices daily, people can also get fast delivery – all at the touch of a button. Our research highlighted that a big factor for people in choosing to shop with us is the availability of well-trained advisers at the end of the phone who are able to offer informed advice, ensuring great customer service,” he added. The company has also launched a new trade club which allows customers to apply for a trade credit account offering exclusive incentives and discounts. With a move to new, larger premises last year, cmostores.com is gearing up for further growth. The new cmostores.com logo was created using graphical elements of the letters ‘CMO’, the former acronym of Construction Materials Online. It depicts a person holding a box to illustrate retail, delivery, and service. It was developed in collaboration with branding experts Logo Design. The rebrand includes new logos for the business’s four specialist divisions: doorsuperstore.co.uk, drainagesuperstore.co.uk, insulationsuperstore.co.uk, and roofingsuperstore.co.uk.